January 2016. At the start of this morning’s ride it was about 19°. The following may not work for everyone but this is what I chose to wear. If, like myself, you don’t have that much ”insulation” to keep warm you will have to make sure that your core and head stays warm, so the extremities don’t get numb. For cold weather riding you don’t have to rely solely on cycling garments. 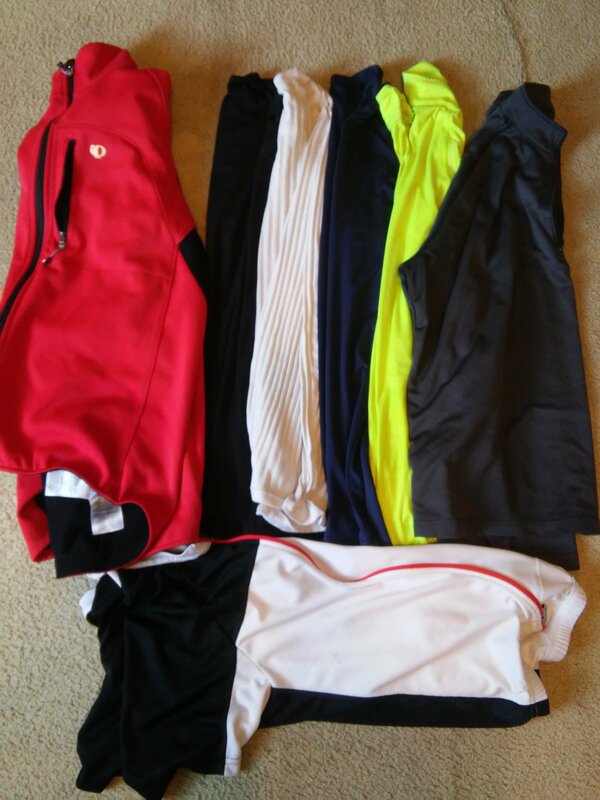 You can mix in running and/or skiing garments. Use whatever it takes to stay warm and dry. 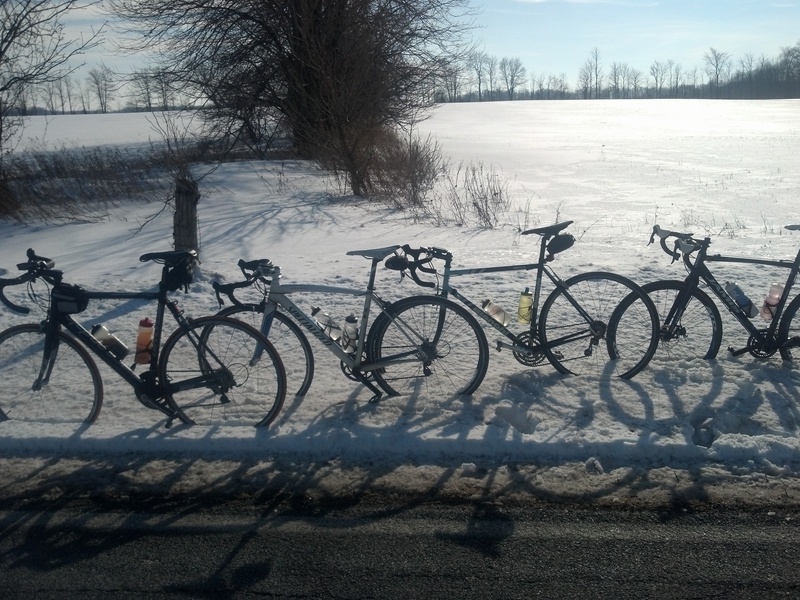 Besides, cold weather riding is no fashion show. The black cap with red interior is a double layered, reversible cap. Sometimes I use 2 at the same time but couldn’t find the other one. A helmet cover is NOT cool but it does keep the head warmer. If you can keep the head warm without sweating, the fingers and toes will stay warmer. Please don’t stray more than 10 feet away from your bike wearing a helmet cover. Not cool at all! 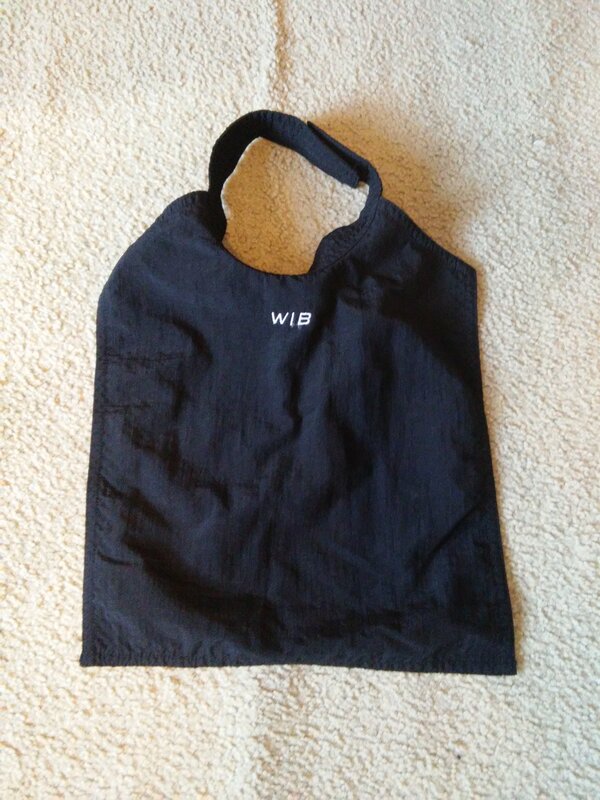 This is a WIB (wind bib). A must-have and a substitute for putting newspaper in your upper body area as a wind block. Newspaper is for professionals cyclists only! Ok, I know, I know. This is ridiculous! I wore 7 layers for the upper body but I was glad that I had each and everyone of those layers. Included were 3 Under Armour-like base layers, 2 middle layers, a jersey (for the pockets), and the jacket. This is the area where I wish I had more layers. Sometimes I like to use 2 glove liners and 2 gloves but today I used 1 glove liner, 1 glove, and a pair of lobster fingered gloves. Next time, I think I’ll buy XXXL lobster gloves. With this set-up, my forefingers and thumbs froze for about 30 minutes before they began to thaw out. For days when the max temp is going to be less than 60 degrees, I wear tights and when it’s in the 20’s, I will wear the thermal under garments with the tights. The winter boots are really nice and lightweight. The boots are good by themselves in the mid 30’s but I sometimes add extra insurance with the accessories seen above. Wait for it, wait for it! …It all weighed in at 8 pounds, 14 ounces! ! ! That’s dang near 9 pounds by my estimation! Let’s see, what am I missing? Oh! You can include chemical toe/hand warmers if you like. You can also add wool garments to your cycling wardrobe. It could even be an old wool pullover sweater. 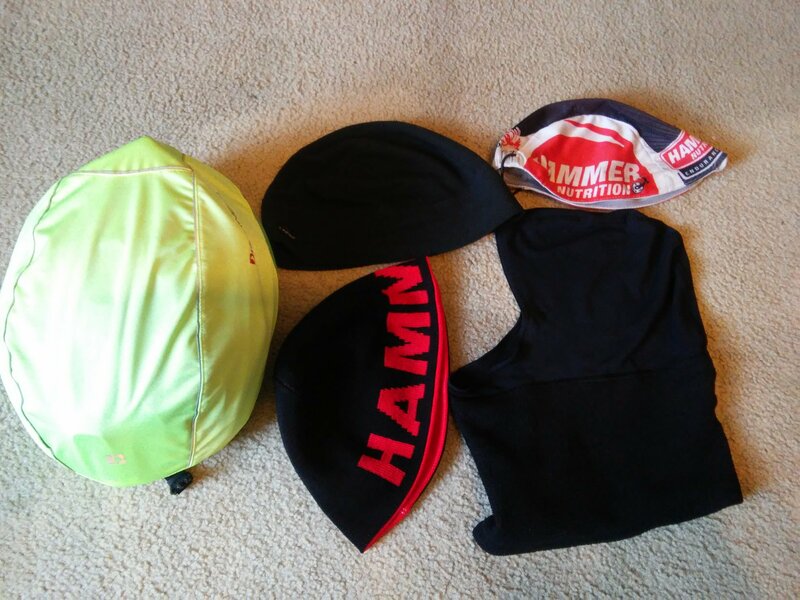 I hope this helps those who are wondering what to wear on cold weather rides. 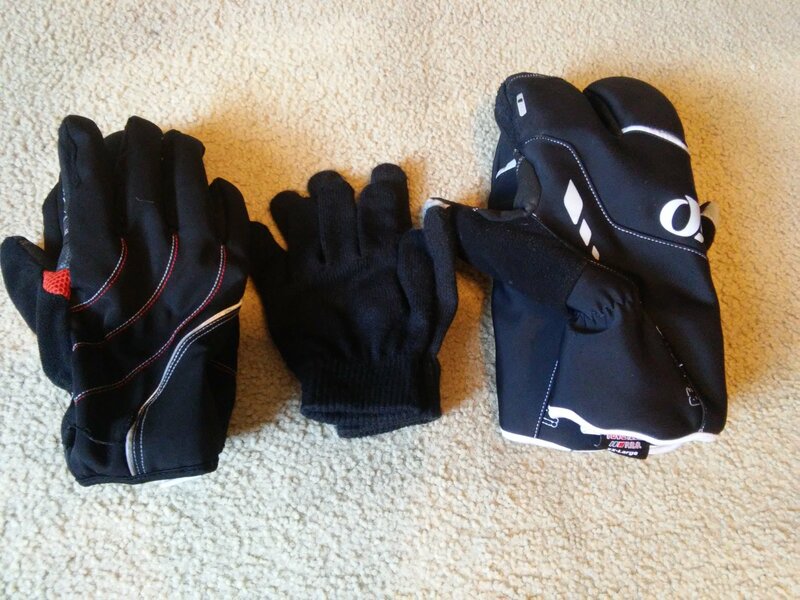 Posted by Eric Overton on March 1, 2018 in Articles, Gear and tagged Dressing for cold weather cycling.